© Bruce Bennett/Getty Images People are spending record amounts of money on Halloween costumes for their pets. Look out for lizards dressed as waiters, dogs dressed as Cleopatra and cats wearing tutus this Halloween. Pets are getting roped into Halloween like never before, as more consumers are shelling out ever-climbing sums to costume their beloved animals. More than 30 million people will spend an estimated $480 million treating their pets to costumes this Halloween, more than double the $220 million spend on pet Halloween costumes in 2010 when the National Retail Federation began tracking pet costumes. The National Retail Federation says Americans will spend $9 billion celebrating Halloween this year, slightly lower than $9.1 billion last year, on costumes, cards and decorations. 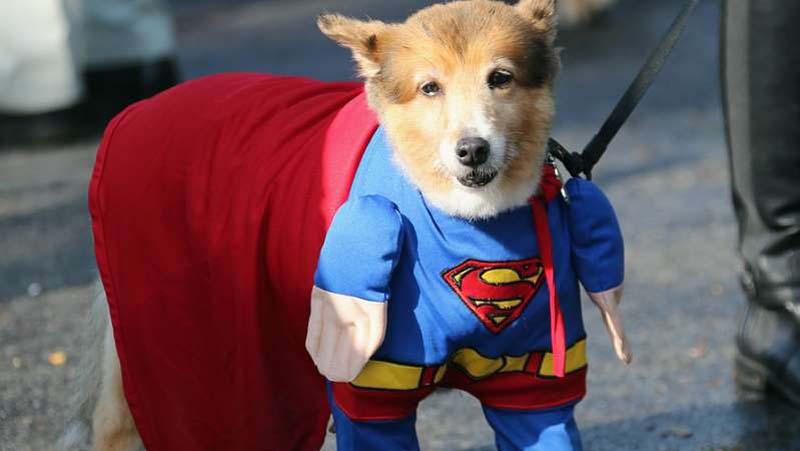 Pet costumes represent 15% of the $3.2 billion spent on all costume sales. More than 31 million people will purchase pet costumes this year, up from 28 million last year, the trade association data shows. Millennial consumers in the 25- to 34-year-old bracket are the most likely to dress up their pets for the season, often posting their animal’s Halloween look online. As with everything from plastic surgery to boasting about children, Facebook and (FB) Instagram appear to be fueling the trend. “Social media is allowing millennial consumers to have fun with Halloween,” said National Retail Federation spokeswoman Ana Serafin Smith. The pumpkin is the top pet costume, with the hot dog and the bumble bee taking the second and third spots, the NRF said. But the possibilities are endless: pets have been spotted dressed up as a everything from a pharaoh to a taco to Wonder Woman. The top 2018 costume purchase for people is that steadfast seasonal staple: the witch.